The Manhattan 63 is perhaps the ideal personification of a boat that packs innovation, luxury and performance into an exceptionally graceful frame. The power package includes the option of MAN 1000 hp engines coupled with the innovative IPS drive systems. This package produces fantastic results in performance, handling and economy. Virtually all of the available factory options are installed, including upgraded tropical Air Con. There are three ensuite staterooms including a spacious midship full-beam master with very large hull-side windows. Saloon and entertainment space has been increased and enlarged over prior year models and the panoramic superstructure windows offer a broad view of the horizon and a feeling of bright and airy openness. This excellent Sunseeker is uniquely designed for the family who likes a large living area in the main deck saloon. This yacht has the lower galley option allowing the smells and clutter of F&B preparation to be separate from the entertainment and dining areas. All fabrics and furnishings have been carefully chosen by the owner so to create a warm, family feel to the boat without sacrificing the evident luxurious bearing. This beautiful gentleman’s yacht offers a tremendous amount of yachting confidence and definitely stands out handsomely amongst her competitors in terms of quality, condition and value. 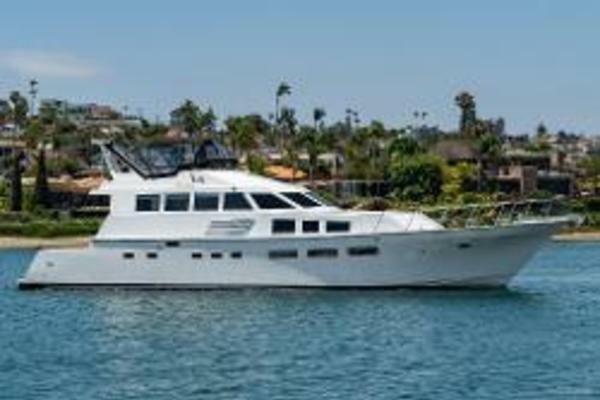 She is a must see yacht, particularly at this price. United Yacht Sales New Jersey would love to guide you through a personal showing of this 68' Sunseeker Manhattan 63 2011. This yacht for sale is located in Unknown Thailand and priced at $985,000. For a showing please contact us by filling out the form on this page and we will get back to you shortly!